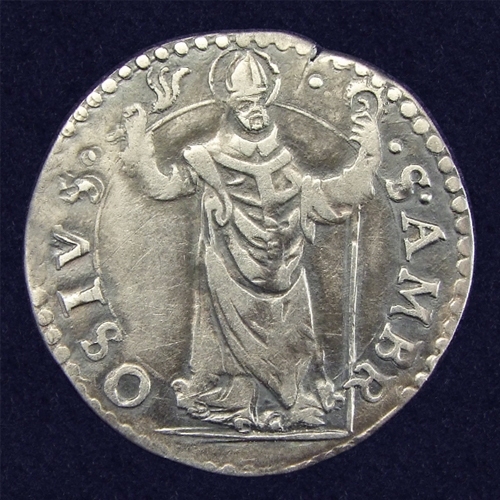 In the Low Countries this coin was known as the St. Ambrosius groot. Obverse: S. Ambrogio standing, holding whip and crozier. 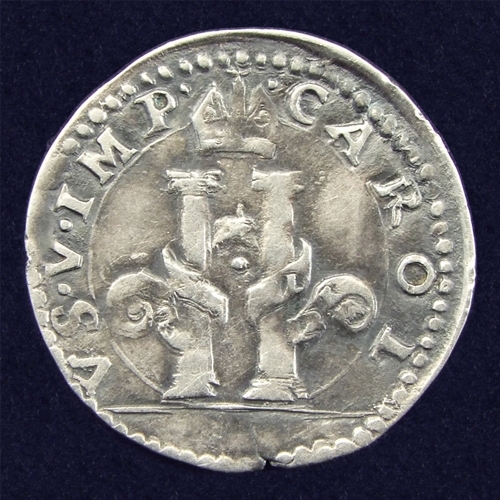 Reverse: Pillars of Hercules with crown above.